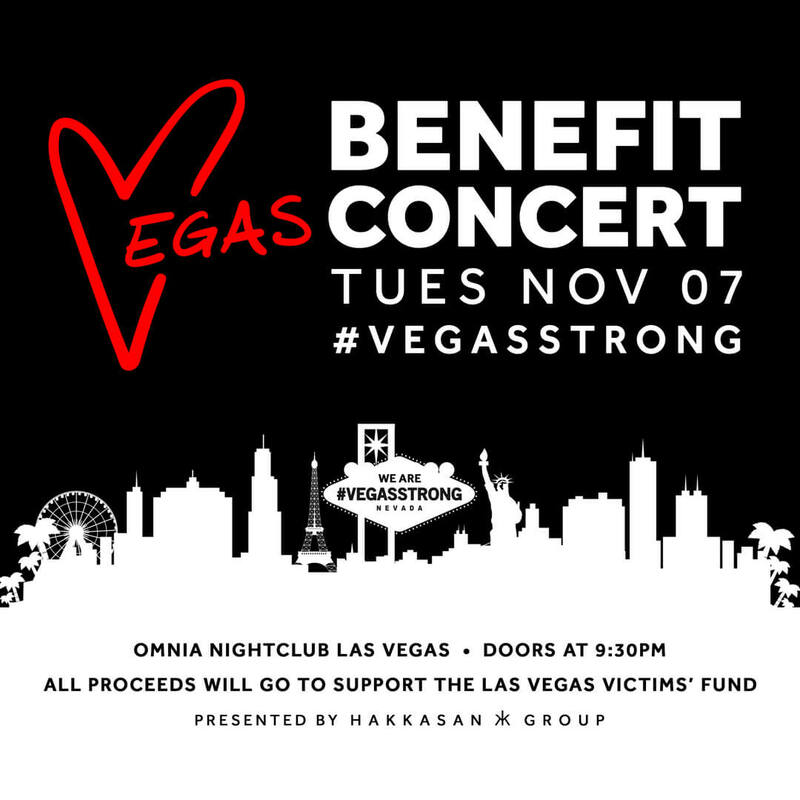 LAS VEGAS (Oct. 9, 2017) – Hakkasan Group has announced a Benefit Concert to take place on Tuesday, Nov. 7 at OMNIA Nightclub inside Caesars Palace. In response to the recent tragedy, the Las Vegas-based company will look to bring the industry together to raise funds for families and victims affected by this devastating event. In a city known for its world-class entertainment and legendary events, the night will bring iconic headliners Tiësto, Zedd, Kaskade, Steve Aoki, Lil Jon, NGHTMRE, Cash Cash, and many more on one stage. These legendary artists will come together with locals and visitors alike to host an evening that further cements Vegas as the entertainment capital of the world. With tickets starting at $30 and VIP tables available for purchase, all proceeds will be donated to the Las Vegas Victims Fund via the Direct Impact Fund, a 501(c)(3) which will take no fees or operating costs for their help in distributing relief to the victims. Headlining DJ and Hakkasan Group resident Tiësto, who has strong ties to the city, has already committed to contributing the first donation, a generous sum of $200,000. Doors will open at 9:30 p.m. All guests must be 21 years of age or older. For more information, or to purchase tickets please click here.